You should already be familiar with Martha Cooper's work, her images of graffiti and hip hop culture are world-renowned and widely published. If not then I suggest you check out this interview from last year over at The Hundreds - Inside The Mind Of Martha Cooper. I got the chance to see her in 2007 at the launch of her book Street Play but at the time my appreciation for her work wasn't what it is today and regrettably I didn't buy the book nor engage in conversation with her. Having already gotten excited about seeing Janette Beckman's work this week, I then discovered that Martha Cooper is in town for a book signing and exhibition at StolenSpace Gallery. That's a chance to see two of my top five photographers in the space of just two weeks, and make up for my past indiscretion. StolenSpace is proud to present ‘Lifework’ a solo show from the renowned photographer, Martha Cooper. Stories and captures that appeared in her lens were different and timely: travels, people and of course art. 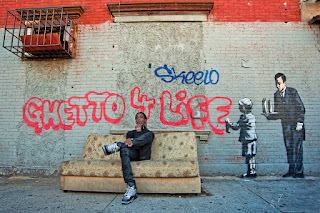 She has been documenting graffiti and street art for 40 years and her iconic book “Subway Art” influenced on graffiti culture and opened a new world to those whose countries came to urban art much later than in USA. Her work will help make this art form immortal, providing future generations of artists and historians with images of what has been called the biggest art movement in the history of the world. 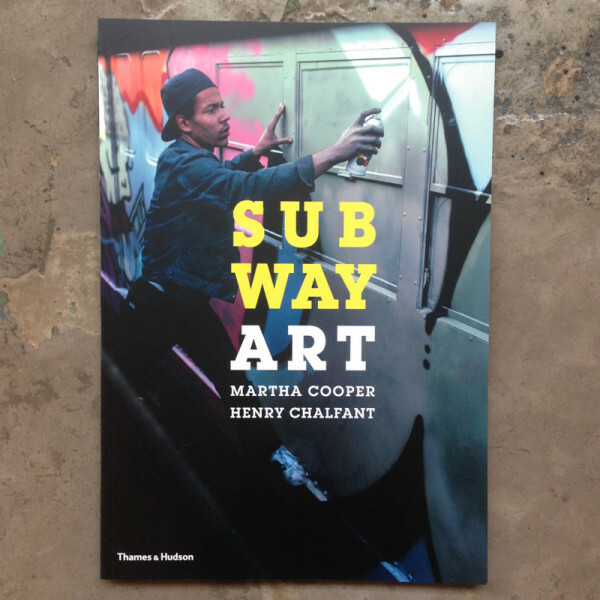 The 1984 book Subway Art, Martha's collaboration with Henry Chalfant, a photographer and filmmaker, captured graffiti's golden and assaultive years. It sold half a million copies, becoming the movement's bible and epitaph. Having already released a 25th Anniversary hardback edition of Subway Art in 2009, Martha is back in London to launch an updated version with over 70 fresh photographs not included in the original edition. New introductions by Martha Cooper and Henry Chalfant recall how they gained entry to the New York City graffiti community in the 1970s and 1980s. New afterwords continue the story from the decline of the subway graffiti scene in the late 1980s to its unexpected rebirth as a global art movement. The authors bring us up to date on how the lives of the original subway artists have unfolded, and mourn the loss of several writers to the darker forces of the street. Along with being able to purchase the book, the gallery will exhibit Martha’s photos in a timeline from the ’70s until today, following her interest in graffiti as it spread from a localised New York City phenomenon into a massive worldwide urban art movement. Included in the exhibition will be exclusive photos of StolenSpace Gallery artists shot by Martha in various locations. The opening reception is taking place on Thursday 4th Feb, with the chance to have Martha sign copies of the book. The Exhibition then runs from Friday 5th to the 28th. Don't be a sucka, pre order the book HERE and check this exhibition out.